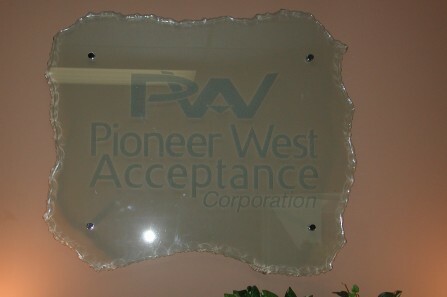 Glass reception signage is ordered in the size that best suits your available wall area. 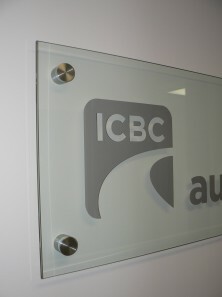 Glass can be ordered with a beveled edge or a broken edge in the shape that best suits your logo and letter style. Lettering and logo is applied on the reverse side of the glass and can be made of etched vinyl or colored vinyl. 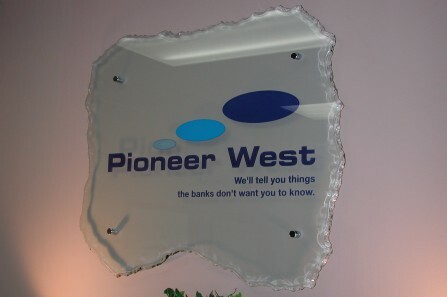 For that extra classy look, we can also sandblast your company name/logo into the glass and give it a look of real depth. 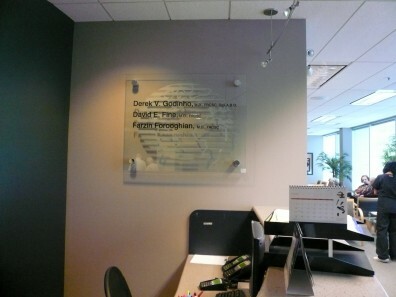 Glass is mounted to the wall using 4 decorative mounting caps and stand-off bases (¾” or 1″) to space the sign off the wall. Glass available in ¼” or ½” thicknesses.